Crochet, Cook, Create: Amazing Snack Ideas! Most of us have children and need ideas for snacks because let's face the facts our children eat like ubber crazy. At least I know Kristopher and Kailee seem to be ALWAYS hungry; at least that is what they tell me, drama king and queen, for real. When we switched our eating habits, we cut out almost all snack ideas, which is great for us but there are a few select brands I still buy. We do apples, bananas and carrots for snacks now instead of chips, or boxed gummy bears. No more cookies packed with crap I cannot pronoun, no more chips packed with the same crap, and none of that any longer it all changed for the better. Kristopher and Kailee seem to have so much more energy and really, honest to God, have not been sick with more than a common cough, for 2 1/2 years. I wanted to share a list of snacks I do provide them, and pictures for them. 1. 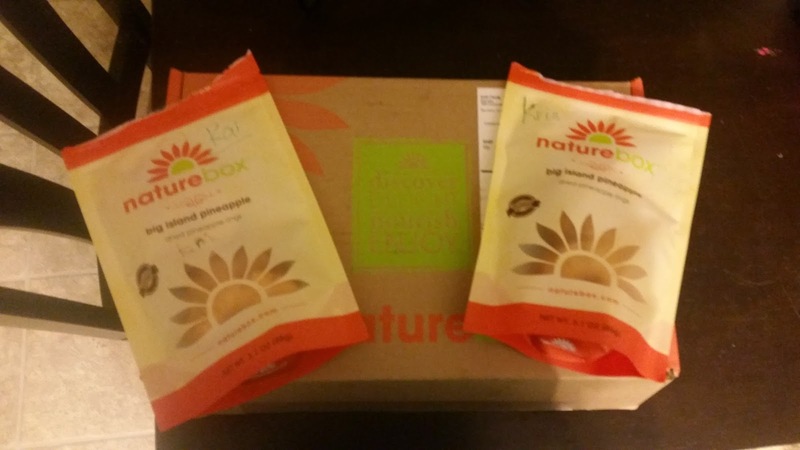 NatureBox- this is a subscription based program, you pay monthly and you get 5 snacks in a box. These are our number 1 go to snack, but obviously I only get 1 box a month, 5 snacks a month, with a family of 4 that is not enough. Normally the snacks we get are gone, next day! bahaha -_-! (do not judge) Our favorite snacks are, Big Island Pineapple, Carrot Strawberry Fruit Chews, Coconut Cashews (we double and triple were it is needed!!) This month I actually had to order a second box because we went through it so fast! If you want to try this, I have an affiliate code that gets you 1 month free, all you pay is $1.97 for shipping (click here). 2. 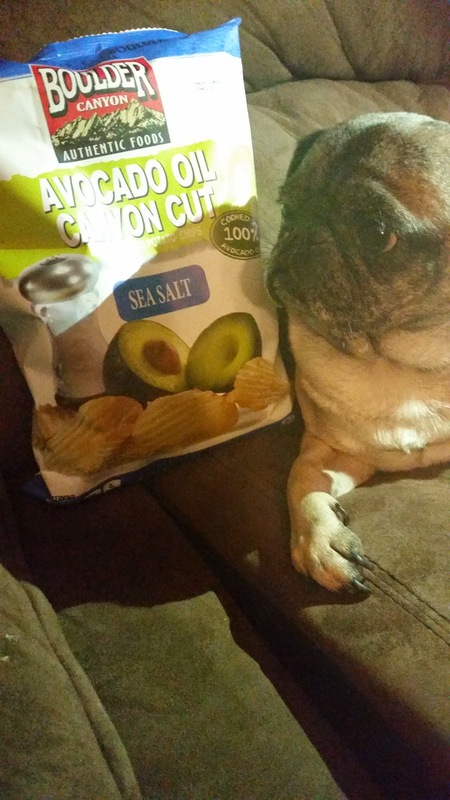 Bolder Canyon Sea Salt chips- these chips have 3 ingredients, are non gmo and are amazing! The ingredients are potatoes, sea salt, and avocado oil (they are cooked in that oil- which is 100% better for you than olive oil, canola oil, and those other oils they cook in (GROSS)! Give these a try and let me know what you think, you will be surprised at how amazing they taste. I love them with my homemade game day chicken dip (recipe here)... yummers!! 3. Stretch Island Fruit Strips- these are non gmo, and only contain fruit, no added sugars or corn syrups! Um yeah talk about amazing and addicting! Not only do Kristopher and Kailee love these, but I have become extremely fond of them! Tonight alone, I had 3 of the Summer Strawberry -_- again, do not judge! They contain 1/2 a serving of fruit per fruit strip and the taste is so much better than any boxed gummy bear crap! You can also try my Homemade Gummy Bears! Those are to die for too (recipe here)! These are a couple of snacks that I stand by, and believe 100% in. I do not know of any other snacks I would fully trust, expect organic apples, organic bananas, organic carrots or any organic fruits and vegetables, yummers! !